The Hasbro Nerf Super Soaker Hydro Cannon is a blaster released in the 2011 lineup of "Nerf" Super Soakers. While generally an underpowered and overhyped blaster by an old hand's standards, it does have potential as an "assault" style blaster. It is the goal of this how-to to assist the average reader in the process of modifying a Hydro Cannon to make it more effective as both a base assault and base defense blaster. The following shows how to perform the mod perfectly by opening it up and removing the screen. For a much simpler method, see the bottom of the page. To begin, we need to crack open the Hydro Cannon. There are a great many screws holding the bugger together, so be careful. Turn the blaster over to the screw-free side and look at the back end... Remove the devil screw - http://i177.photobucket.com/albums/w213 ... lscrew.jpg now. 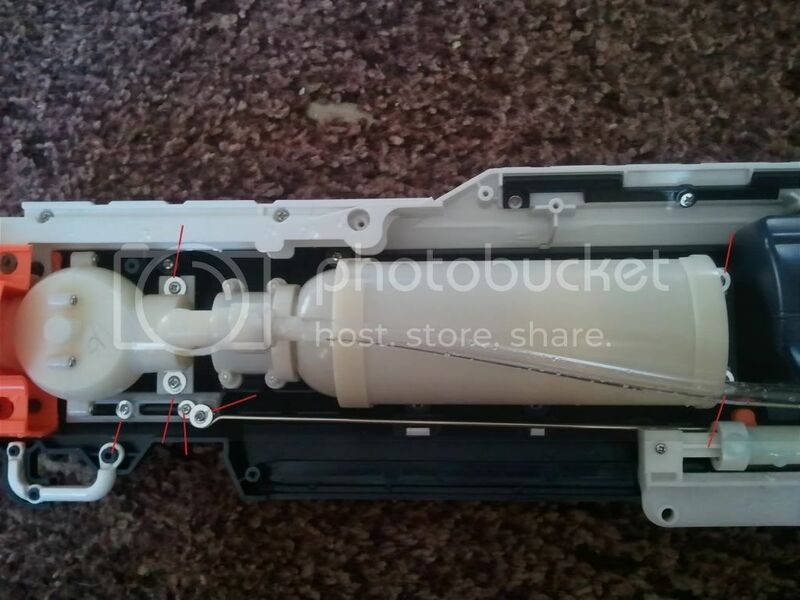 Turn the blaster back over to the screw side and remove all of the screws - http://i177.photobucket.com/albums/w213 ... laster.jpg . 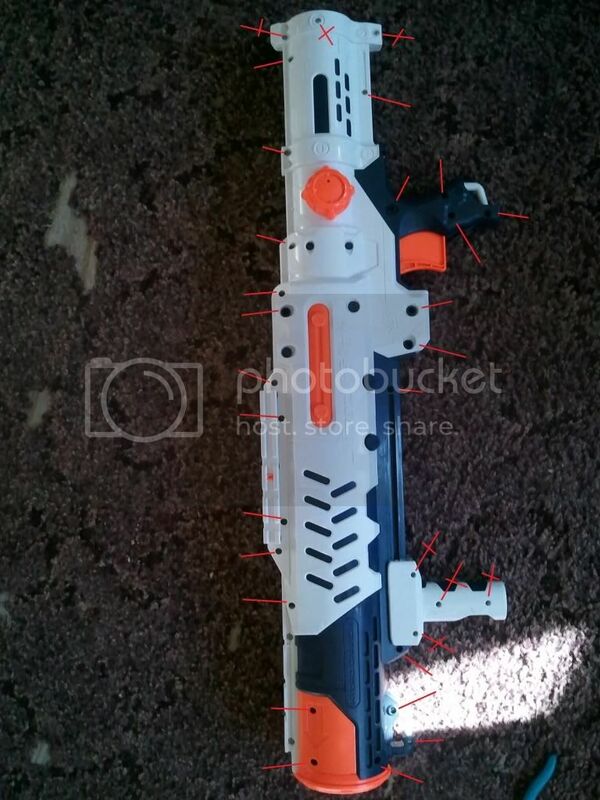 The screws that should be removed first are marked with crossed lines in the linked picture. The three screws near the "front" of the blaster should be removed with the #1 phillips screwdriver; a narrow-shaft #2 will work just as well. 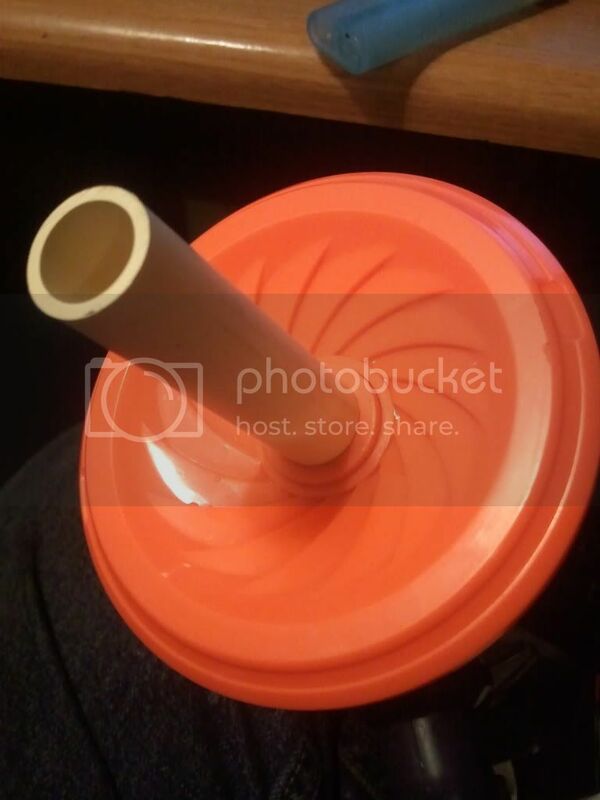 Separate the two halves - http://i177.photobucket.com/albums/w213 ... handle.jpg of the pumping handle and lay them on a piece of newspaper or some other surface that is silicone-safe. 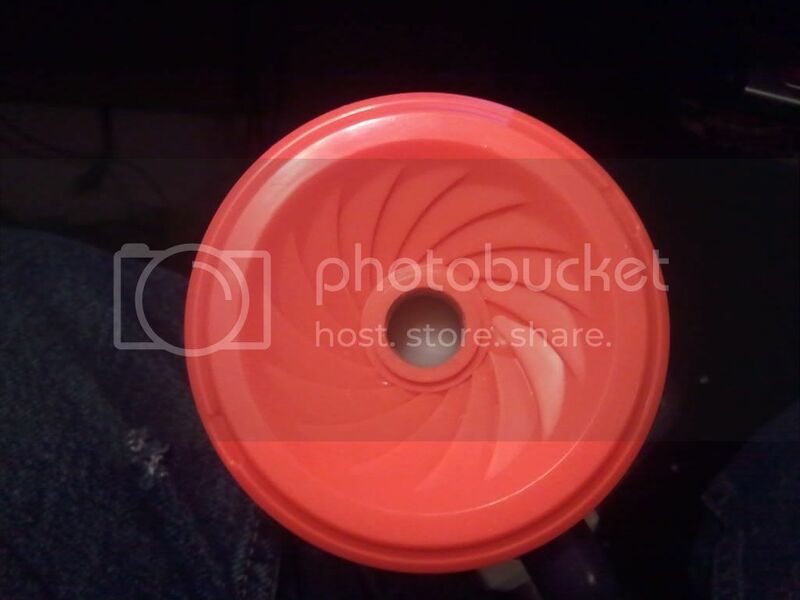 Use your handy dandy can of silicone spray to liberally cover the surfaces where the handle contacts the blaster - http://i177.photobucket.com/albums/w213 ... neshot.jpg. Set them aside to dry. Next, we need to separate the halves of the case. This can be tricky, so be careful to avoid breaking anything. Start peeling the case halves apart, starting at the back end of the blaster (where the devil screw was) working toward the front. The front half will tend to stick down, so carefully "pop" it up to free it. Congratulations! You now have two halves of a Super Soaker! 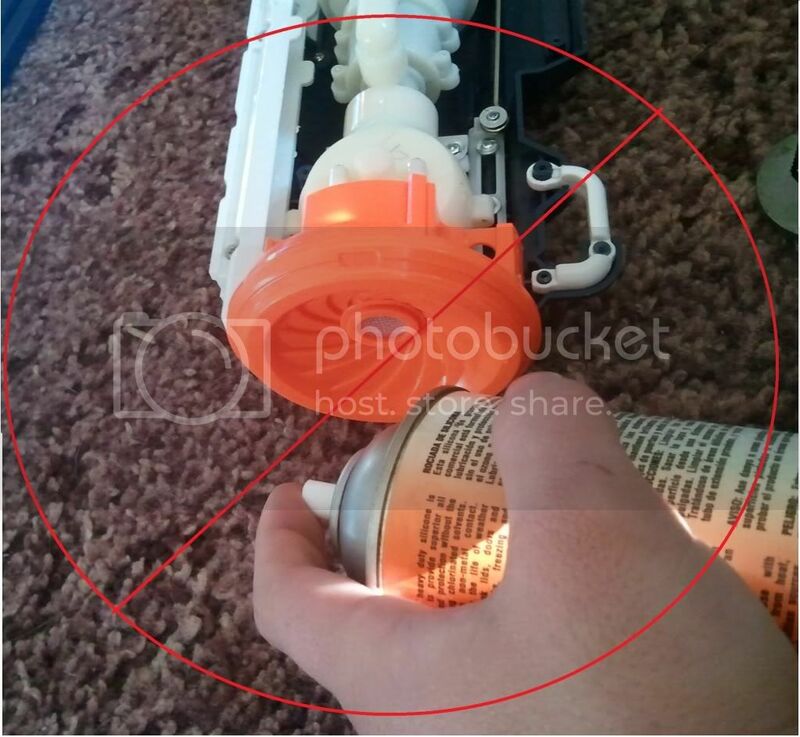 Very carefully spray all areas on the inside of the blaster - http://i177.photobucket.com/albums/w213 ... ayshot.jpg where the pump will contact the case during its movement. Try to avoid getting the spray on any rubber, as the carrier has a chance of swelling and ruining it. You can either let this sit for a moment to dry, or continue working. Your call. You will next want to remove the ball valve and cps bladder - http://i177.photobucket.com/albums/w213 ... hamber.jpg to facilitate removing the diffusion screen. 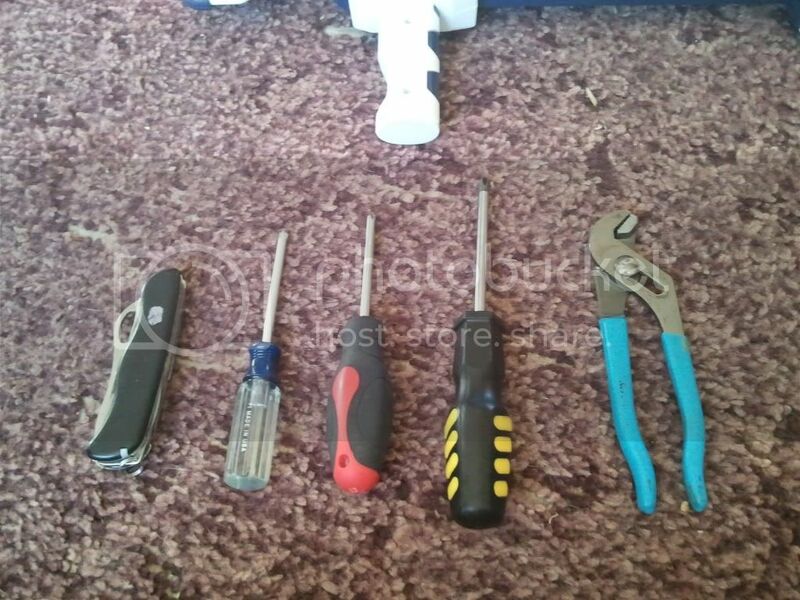 This is accomplished by removing the screws highlighted in the linked image. 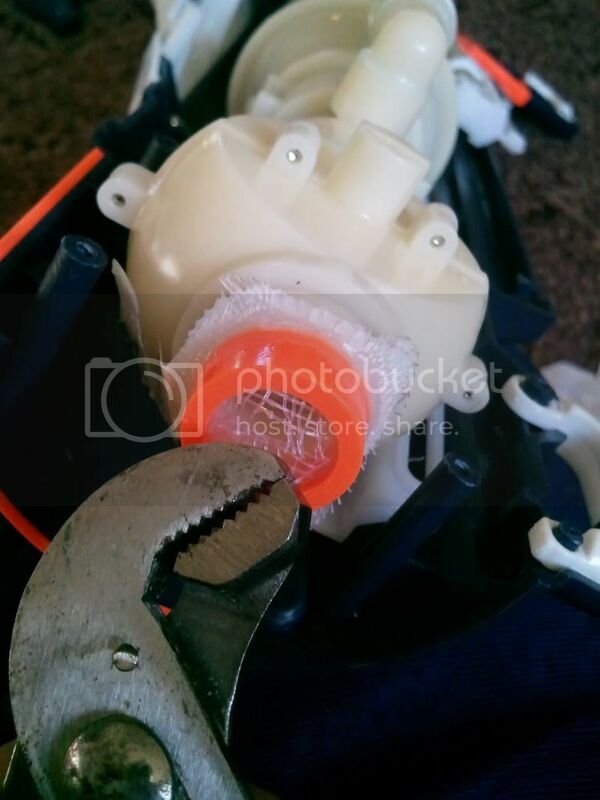 Carefully remove the faceplate of the blaster, and get to work with a knife - http://i177.photobucket.com/albums/w213 ... enhere.jpg. You will want to cut a small slit - http://i177.photobucket.com/albums/w213 ... likeso.jpg in the middle of the screen. Using your knife or a pair of tweezers or whatever other pointy thing you have at hand, separate a strand or two of the screen from the rest. 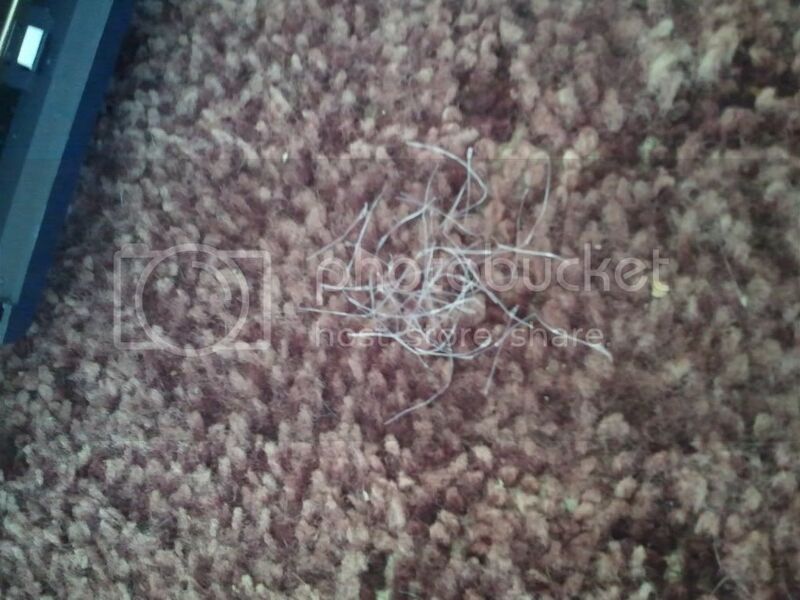 Starting at the removed screen, use a pair of pliers to remove the individual strands - http://i177.photobucket.com/albums/w213 ... terial.jpg of the screen material. You will want to form a small pile - http://i177.photobucket.com/albums/w213 ... terial.jpg with the strands, or they will be nigh impossible to clean up. You will want the ball valve to have a nice, clean exit - http://i177.photobucket.com/albums/w213 ... roduct.jpg for this modification to work. 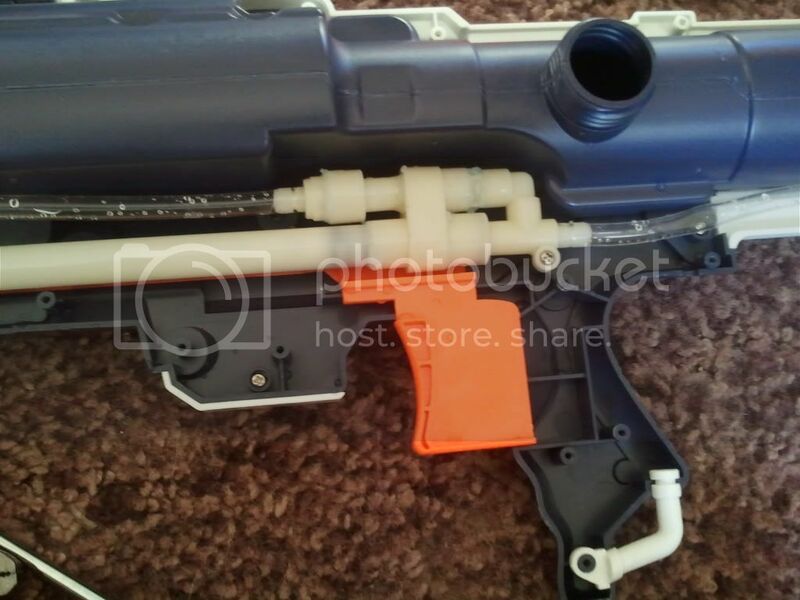 With the ball valve still removed from the blaster, spray the trigger mechanism - http://i177.photobucket.com/albums/w213 ... ayshot.jpg with your handy dandy silicone spray. Removing the one retaining screw - http://i177.photobucket.com/albums/w213 ... rigger.jpg on the pump and pulling it out of the way may help. 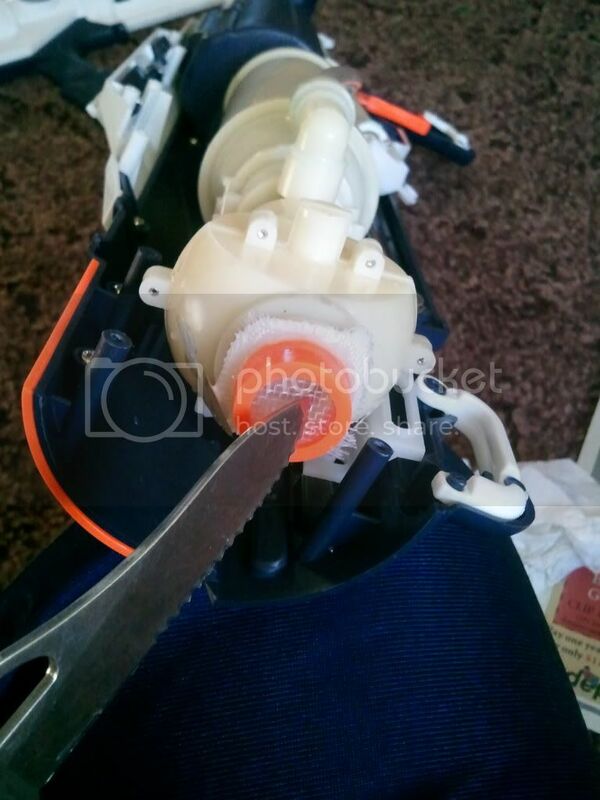 Reinstallation of the ball valve and cps bladder into the blaster is the reverse of removal- be sure to put the face plate back into place, or you will be kicking yourself for having to remove the ball valve yet again. 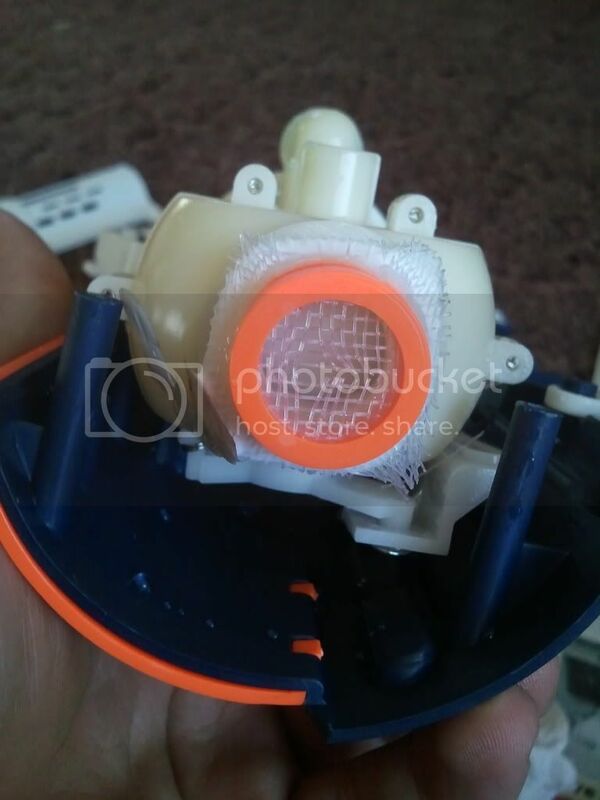 If the ball valve feels sluggish after reassembly do not, I repeat DO NOT spray silicone - http://i177.photobucket.com/albums/w213 ... TSPRAY.jpg into it to make it move more easily. You can spray the lever, but that is it. 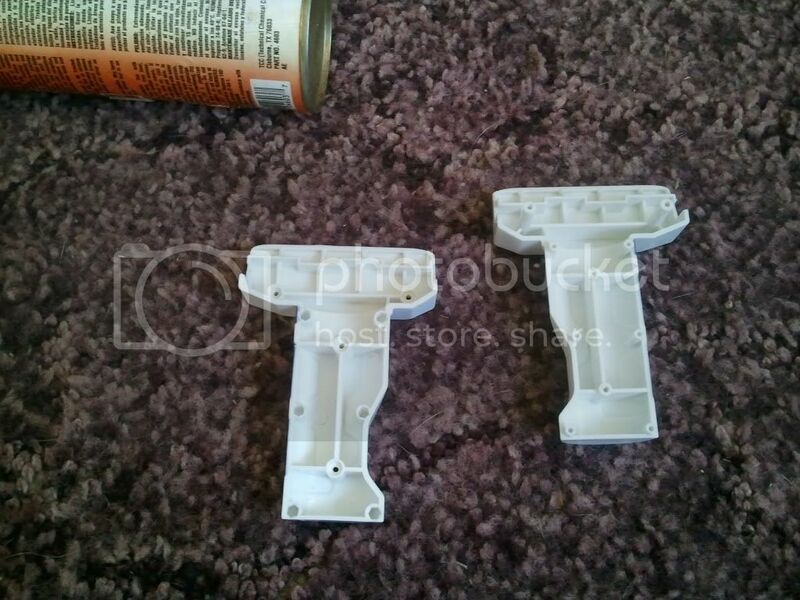 Reassemble the halves of your blaster, making sure to tighten all screws. Before reinstalling the pump handle, spray the guides on the blaster - http://i177.photobucket.com/albums/w213 ... neshot.jpg casing itself with your handy-dandy silicone spray. You'll be amazed at how much easier and quieter pumping becomes. 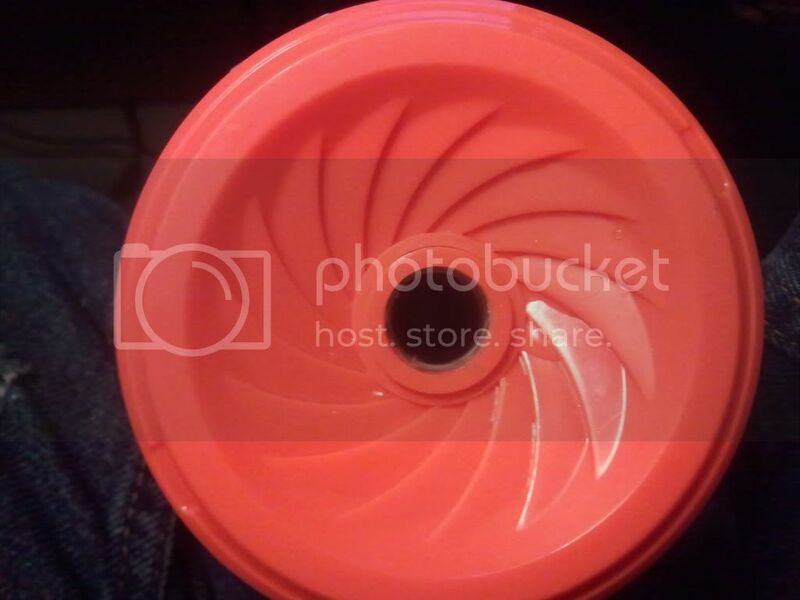 Would ya look at that clean exit - http://i177.photobucket.com/albums/w213 ... emoved.jpg on the end of the blaster! 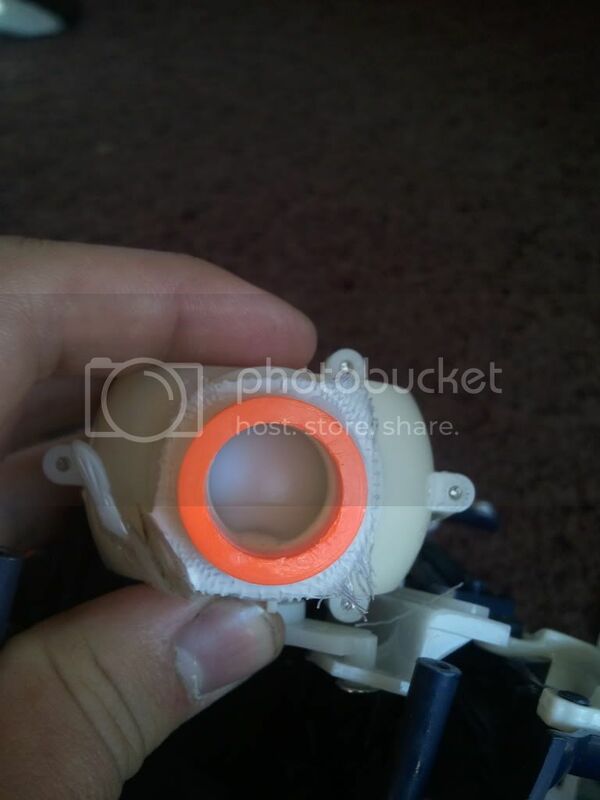 Go ahead and open the ball valve - http://i177.photobucket.com/albums/w213 ... veopen.jpg - all that large diameter tubing to purge the bladder. Now comes quite possibly the single hardest part of this modification... Adding the barrel. Remember that 1/2" CPVC I said we would need earlier? Yeah, grab that. 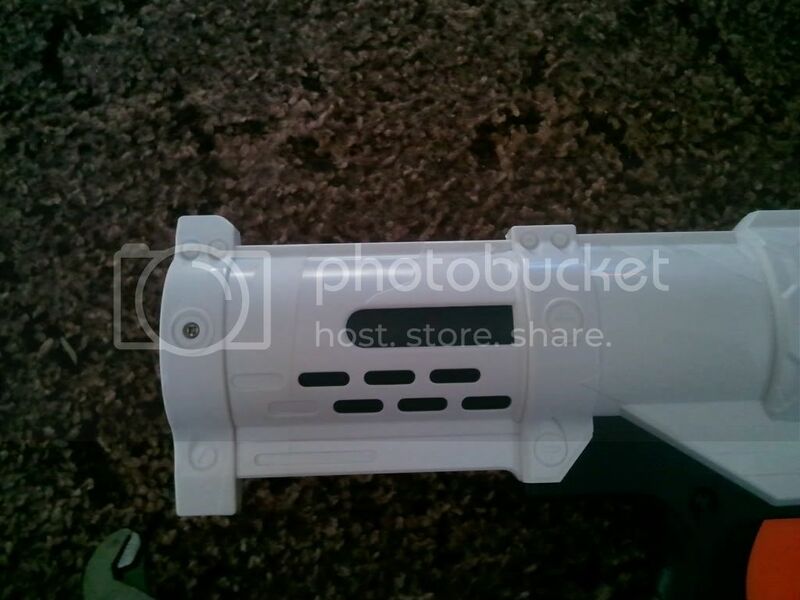 Now, take that pipe and jam it in the end - http://i177.photobucket.com/albums/w213 ... serted.jpg of your blaster. Blammo! A barrel! You can now add nozzles at will, or even design a hot-swappable nozzle system where you simply pull out one and jam in another. At last! The results of your hard work! Results may vary (heh, heh) but I personally found between a 5 and 15 foot increase in range depending on what length of barrel I used... Longer barrels tend to give better ranges from what experimentation I have done thus far. Go post up on the WW.net forums with your results! The Potential of the Hydro Cannon thread - http://www.waterwar.net/site_wwn/board/topic5243.html is open for discussion. Got any ideas? Post them up! This section is just to share the before and after videos as well as a video of removing the reservoir cap. That booger gave me a hell of a time. I couldn't really find a good time during the course of the how-to to drop the links, so... Here we go! The above method can be done if you want to be extra careful removing the screen. However, some prefer a method that doesn't require opening the gun. This method is incredibly simple. Take some pliers and rip out the screen on the nozzle. Then shove in a short length of 1/2" CPVC or PEX pipe. Any questions or complaints can be sent to the complaint department on the third floor.